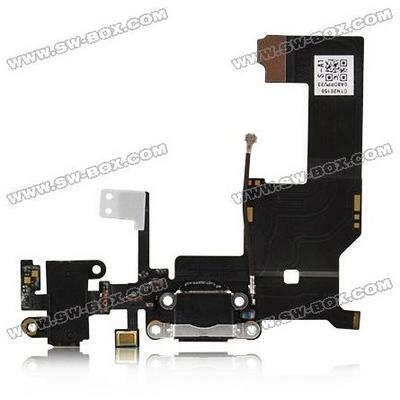 Yet another alleged part for the iPhone 5 has leaked out, this time it's the headphone jack and earpiece. First it was the home button, then the SIM tray and now the headphone jack and earpiece for the iPhone 5 have leaked out. Parts supplier SW-Box, who has been the source of all these leaks thus far, gives no indication of how it continues to come up with these, but they are interesting points of discussion to be sure. Should this turn out to be the real part, it marks a departure from the iPhone 4 and iPhone 4S at least internally. In those iterations of the iPhone, the headphone jack has been grouped with the volume rocker and mute switch, but now we see it moving to be paired with the earphone piece and Wi-Fi cabling. Apple is known to rearrange the internal components of its products even if it doesn't change things externally, so this still does not give us any concrete evidence of what to expect from the external appearance of the next version. Seeing as a rumor from late last week indicated that the iPhone 5 design has not been finalized, all of these leaked parts could be coming from prototypes. Hopefully something along the lines of a shell will leak in the near future, which seems possibly considering how fast the internal components have been showing up.